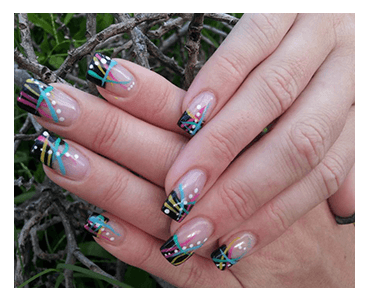 With more than 15 years experience, owning salons and educating on the Gold Coast, Saskia is dedicated in offering a professional, reliable and guaranteed nail services. At Saskia’s nail and beauty bar we offer a full range of nail services from absolutely fabulous nail art designs in Acrylic, Gel and Gel polish with rhinestones, 3D nail art, glitters, chrome, hand painted designs to dip and buff nails and Shellac, for those who want to maintain there natural nails with a little help to give them strength and durability. Manicures and pedicures with an added on paraffin wax dip, IBX nail treatment or an ASAP foot peel for that perfect pamper. 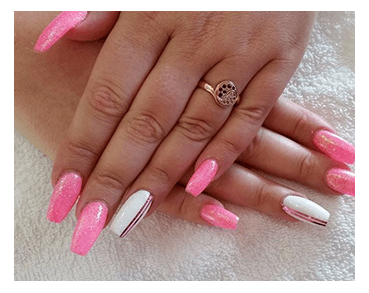 Saskia’s provides you with a safe, durable and creative nail service using the latest products and techniques, with a gold standard in cleanliness and sanitation which is must in Saskia’s beauty salon. All implements are cleaned and disinfected in a steriliser before each use. For a glamorous and individual look for your nails, come in and see us at Saskia’s Nail and Beauty Bar on the Gold Coast. We are conveniently positioned for clients located in Highland Park, Nerang, Worongary, Gilston, and Carrara.